Get a good start on finding the best educational experience for your child. 574 Bell Road, Antioch 615-367-0532 ezellharding.com Sunday, Jan. 27 at 2 p.m. Reserve your spot at the website. 4700 Franklin Pike, Nashville 615-832-8845 franklinroadacademy.com Sunday, Jan. 27 at 2 p.m. RSVP at the website. 619 Due West Ave., Madison 615-868-2600 goodpasture.org Sunday, Jan. 27 from 2 - 4 p.m. RSVP to admissions@goodpasture.org. 3201 Hillsboro Pike, Nashville 615-354-0270 lindenwaldorf/ewd2019 Saturday, Jan. 26 is “Experience Waldorf Day” from 9 a.m. - 12 p.m. for adults only. Register at the website. 3901 and 4517 Granny White Pike, Nashville 615-966-6409 lipscombacademy.org PreK - 4: jennifer.watson@lipscomb.edu; 5 - 8: jessica.williams@lipscomb.edu; 9 - 12: melissa.miller@lipscomb.edu Friday, Jan. 25 from 7:30 a.m. - 12 p.m.
801 Porter Road, Nashville 615-226-4588 monteastnash.com Tuesday, Jan. 15 from 5:30 - 7 p.m.
1225 Gallatin Road S., Madison 615-865-1491 saintjosephschoolnashville.org Sunday, Jan. 27 from 10 a.m. - 1 p.m.
Look for the spring 2019 edition of our Private School Directory (PSD) on March 1. 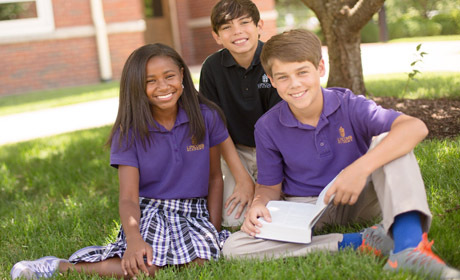 Find private school info, including the digital edition of our current PSD online HERE.